As a mother of three, actress Jennifer Garner is passionate about creative kids’ activities that bring family members together to bond over shared experiences. 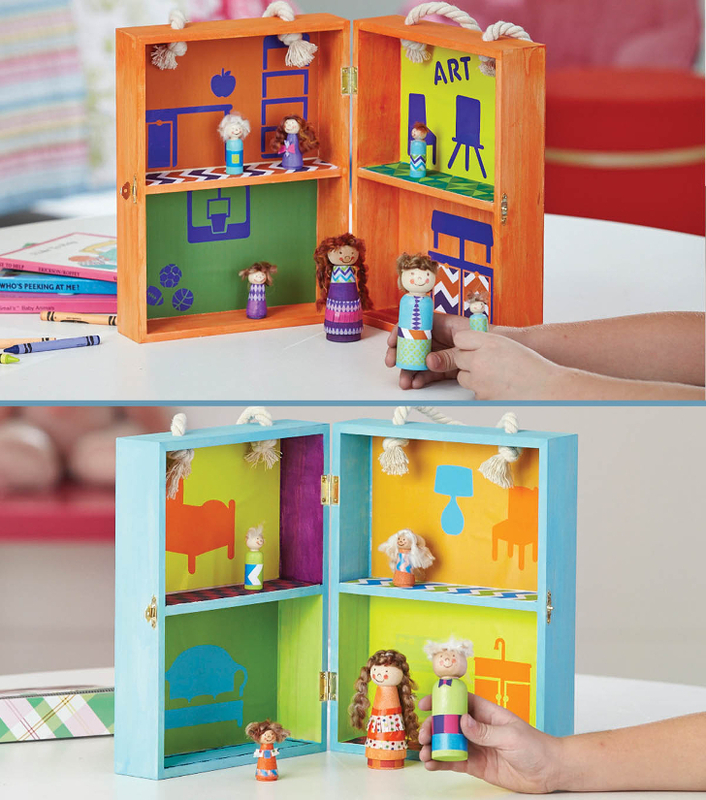 Garner has teamed up with Jo-Ann Fabric and Craft Stores to produce a range of over 100 DIY kits that will teach kids practical crafting skills, while encouraging them to enjoy the creative experience with siblings, parents and grandparents. The We Made It by Jennifer Garner range has just been released and is available in-store and online now. Garner has fond childhood memories of handcrafting blankets with her sister, and was recently delighted when her mother brought her own sewing machine with her when she came to visit, so she could sew dolls’ clothes with her granddaughters. Garner says such treasured family time is a major motivating factor in developing the range, and charmingly admits to being not that gifted when it comes to handicrafts: she finds the talking and shared experience of the project just as special. With so many kits available in the range, it’s hard to choose! Do you start with the bird feeder, the kids’ dress-up costumes, the handstitched blankets or the seed-raising kit? Whichever you choose, an integral feature of the range is durability and quality: it was important to Garner that each project would be sturdy enough to last and be treasured, rather than simply being thrown out the next day. Projects are also designed to cater to various skill levels and geared toward children ages 4 to 11. Some projects are simple enough to complete in 10 to 20 minutes, while others such as the cookie cutter set can lead to hours of cheerful mess-making creativity. 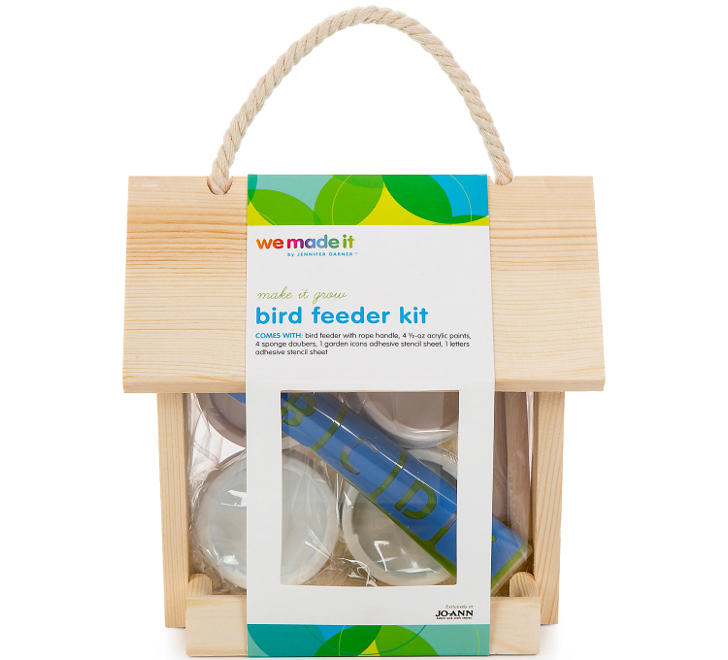 Prices for We Made It by Jennifer Garner kits range from $2.99 to $49.99, though keep an eye out for Jo-Ann’s regular sales and coupons. Garner has fond childhood memories of handcrafting blankets with her sister, and was recently delighted when her mother brought her own sewing machine with her when she came to visit, so she could sew dolls' clothes with her granddaughters. Garner says such treasured family time is a major motivating factor in developing the range, and charmingly admits to being not that gifted when it comes to handicrafts: she finds the talking and shared experience of the project just as special. With so many kits available in the range, it's hard to choose! Do you start with the bird feeder, the kids' dress-up costumes, the handstitched blankets or the seed-raising kit? Whichever you choose, an integral feature of the range is durability and quality: it was important to Garner that each project would be sturdy enough to last and be treasured, rather than simply being thrown out the next day. Projects are also designed to cater to various skill levels and geared toward children ages 4 to 11. Some projects are simple enough to complete in 10 to 20 minutes, while others such as the cookie cutter set can lead to hours of cheerful mess-making creativity. Prices for We Made It by Jennifer Garner kits range from $2.99 to $49.99, though keep an eye out for Jo-Ann's regular sales and coupons.